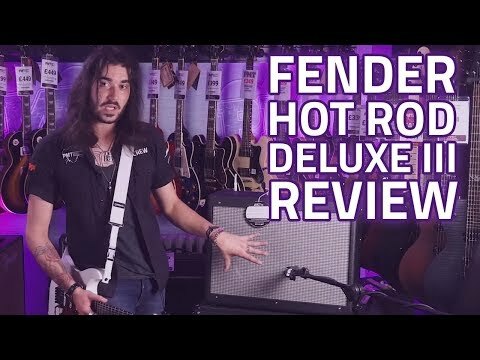 The Fender Hot Rod Deluxe III is a 40-Watt, 1 x 12 combo, the world standard for gigging guitarists everywhere. Portable combo with 40 watt.. The Fender Hot Rod Deluxe III is a 40-Watt, 1 x 12 combo, the world standard for gigging guitarists everywhere. The Fender Hot Rod Deluxe III has the bottom end headroom characteristic of 6L6 tubes and a versatile all-12AX7 tube preamp, with luscious Fender spring reverb, effects loop, and more. In the lower moments, the HotRod Deluxe III offers a much more natural clean channel sound than the Blues Junior series. These amps pair really well with players that just want a no-frills, clean sound to make their own with an array of stompbox effects. Players that want a bit more versatility from the second and third channels will enjoy the distortion breakup and gritty drive available at your feet, with a two-button footswitch included. The Hot Rod Deluxe 3 includes several upgrades from the previous incarnations of the Hot Rod amp. Including easier reading black control panel with front reading text; New badge; Streamlined footswitch; Graduated volume and treble pot tapers; "Tighter" overdrive and a Celestion G12P-80 speaker. It's easy to see why the Hot Rod Deluxe has evolved into one of the best-selling amps we've ever sold at PMT. 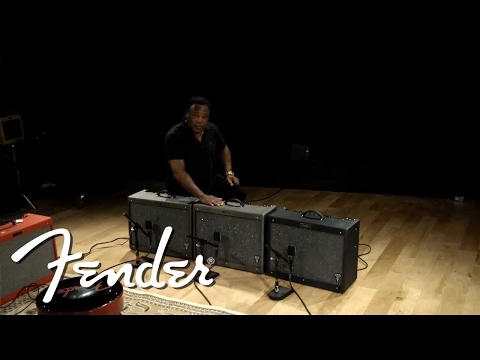 Classic Fender 'jangle', a raw Overdrive option and stylish good looks complete the package.